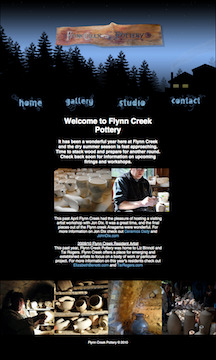 Flynn Creek Pottery is one of the first standards complient HTML and CSS sites I designed and built back in 2009. It ran for almost seven years and is no longer up but it still represents my first real website. Below is a link to my github were you can find my most recent projects. I have also included links to some older work.